"Absolutely perfect! Dave is amazing." 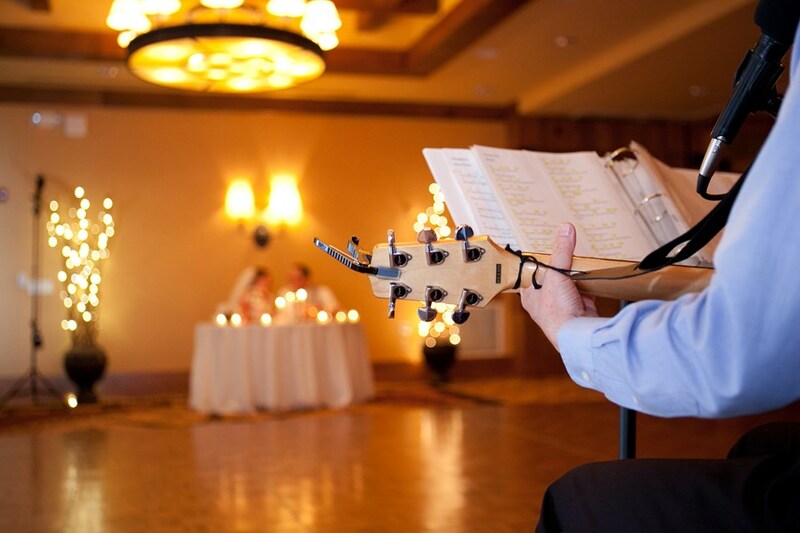 - Karen S.
"Dave was the PERFECT match for our wedding reception." - Laura A. "I'm thrilled you're available! You were by far my favorite, I love the quality of your voice." - Penelope M.
"Dave made our wedding!!! I was looking for someone to set a fun, casual but romantic wedding day. Dave filled our requests and so much more! He played his acoustic guitar for the ceremony and cocktail hour, then emceed the recepetion. He played "Crazy Love" by Van Morrison and nailed it! It was magical and just how I IMAGINED it in my head. He was diverse and his sound was smooth and relaxing. I received nothing but wonderful reviews from all our guests. If you're looking for someone who can do it all and do it well, choose Dave. You won't be disappointed." 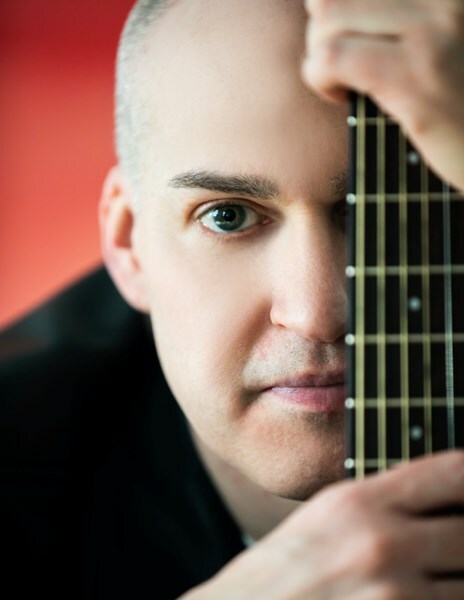 - Jen S.
Entertaining audiences for the past fifteen years, five star acoustic guitarist and singer Dave Bywater performs a vast repertoire of crowd favorites by The Beatles, James Taylor, Jack Johnson, Coldplay, U2 and many others. Audiences always compliment Dave on his full, soulful voice which inspires listeners to sing along. 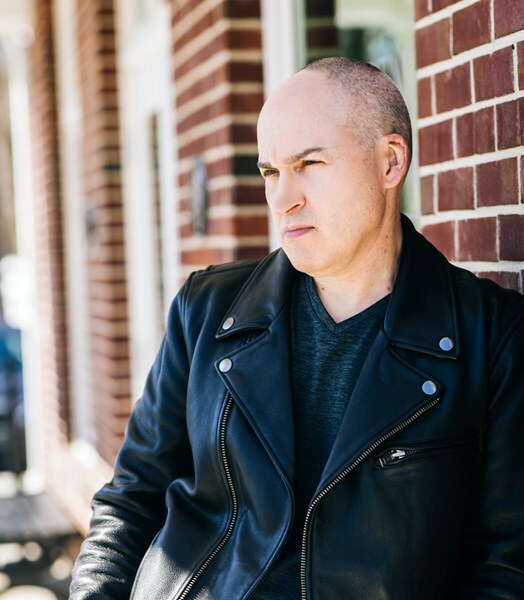 Dave's extensive songlist features diverse selections from the 60's to today and even includes lively Irish pub songs that keep crowds clapping and calling for more! Determined to make your special event one you'll remember for years to come, Dave is eager to add your personal requests to his playlist. To contact Dave for a free quote, simply click "Request Free Quote" at the top of this page and complete the form. If you'd rather GigMasters not forward your contact information to entertainers other than Dave Bywater, be sure to uncheck the box on the next page. "You did an absolutely amazing job! Everyone loved ya'! We all had a blast!" - Jennifer C.
"Your music ideas are perfect! I definitely want to book you. I'll make the deposit through Gigmasters today! We're really looking forward to your music on our wedding day." - Laura K.
From the first review of Dave on Gigmasters.com, I knew he would be perfect for my daughter's engagement party. Dave is a very talented musician with an excellent voice ~ guests ages 21 to 81 commented on how much they enjoyed his music! In addition, he is also a wonderful DJ and had our family and friends dancing to the end of the evening. Both my daughter and I were very pleased with Dave's music selection and that he knew exactly what to do to keep the party flowing. Do not hesitate to hire Dave for your event! Dave was the easiest part of planning my party. He responded IMMEDIATELY to any emails/requests I sent him, he arrived VERY early to the party and was completely set up and already playing when I walked in 15 minutes before guests arrived. He is EXTREMELY talented, with a wonderful voice - all of my guests commented on how good he is. He even sent me a nice note about the party the next day. Dave is a top shelf musician and a wonderful addition to ANY party. Thanks Dave for a great night! All I can say is David surpassed my expectations. He performed this past weekend at my wife's 40th surprise b-day party and everyone (120 guests) was raving about him. He is veteran performer, great voice, and guitarist. Leading up to the event he was 100% on top of everything - asking the right questions, sharing playlists, offering advice on music and lighting, etc. If you need a more detailed reference just email me - dkrizo@gmail.com. Everyone at our party mentioned how much they enjoyed Dave's performance. Dave did a great job. He showed up on time, was ready to start exactly on time, and fit in perfectly to the experience we were trying to have. When he took his break, and when he finished for the evening he just put the iPod back on without being asked. Our event was outdoors. At one point, it started drizzling, and I thought everyone would run inside. No one did-- they all stayed outside to listen to Dave. We were very happy with our experience. We are all into music in the circle of my family and friends, and definitively I did not want to take a chance when celebrating my girl's 18th birthday surprise party. But guided by the stars above and a star pianist friend of mine, I simply hired the best. Thanks Dave for your incredible energy and art! We had a memorable celebration. Dave was fantastic. He played guitar and sang at the adult cocktail hour for our children's B'nai Mitzvah. We spoke prior to our event and he was amenable to all our song requests. He was very professional. We received many compliments on his performance. We would highly recommend him. I found Dave Bywater on gigmasters last year and after reading all of the rave reviews, I knew we had to have him for our September 4th Wedding. I can't really express in words how amazing he was. Days after our Wedding we were still receiving calls from our guests telling us how amazing our DJ was. He was SO much fun! He really got the crowd going and he brought all kinds of props which was awesome!! All of the kids and adults loved him. Truly, SO MUCH FUN and he really made our reception memorable and a total blast. Absolutely without a doubt will RAVE about him to all of my friends for years to come and would HIGHLY recommend him to anyone for any type of event. Dave was fantastic. His voice was amazing and everyone loved him. He listened to our requests and even showed our guests how to do the Cotton Eyed Joe dance. He really gets the party going. We would love to have him at our next event. Thanks for everything! Please note Dave Bywater will also travel to Langhorne, Trevose, Bensalem, Bryn Athyn, Feasterville Trevose, Huntingdon Valley, Beverly, Croydon, Holland, Abington, Cheltenham, Jenkintown, Levittown, Riverside, Riverton, Bristol, Elkins Park, Hatboro, Palmyra, Richboro, Warminster, Willow Grove, Wyncote, Burlington, Glenside, Willingboro, Dresher, Fairless Hills, Horsham, Moorestown.